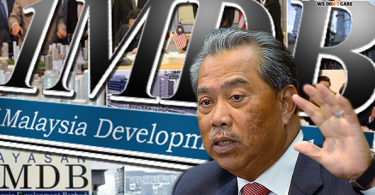 KUALA LUMPUR – July 27, 2015: Umno grassroots leaders appeared to be taken aback by Tan Sri Muhyiddin Yassin’s latest open criticisms of the way 1Malaysia Development Berhad (1MDB) issue was being handled. The Umno deputy president had in a speech at the closing of the party’s Cheras division annual meeting yesterday warned that Barisan Nasional would lose the next general election if it was held now, due to the current unfavourable public perception of the 1MDB controversy. The deputy prime minister’s caveat apparently bugged some Umno leaders as they never expected him to make those remarks. Petaling Jaya Utara deputy division chief Azli Muhamad when contacted said the speech was provocative and uncalled for. “As one of Umno top leaders who attend Cabinet meetings where such issues are discussed, Muhyiddin should have understood the 1MDB affairs better. “Umno needs to learn a thing or two from the opposition. Members of the opposition coalition have proven themselves as staunch supporters of their coalition’s top leadership despite steep accusations made against them. I want Umno to be like that,” he said. Muhyiddin had among others suggested that Prime Minister Datuk Seri Najib Razak personally take the lead in explaining the 1MDB issue to the people. 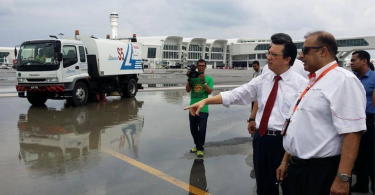 “When the Second Finance Minister (Datuk Seri Ahmad Husni Hanadzlah) explains on 1MDB, the critics rebutted him and when the Housing Minister (Datuk Abdul Rahman Dahlan) spoke, he was also rebutted. “We cannot explain (the 1MDB issue) properly because we do not know the real facts, so who is going to tell us the real facts? 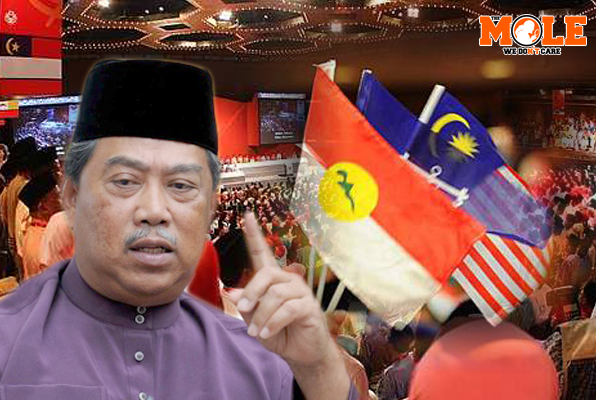 It should be the Prime Minister,” said Muhyiddin. Muhyiddin’s speech came as a shocker to Azli and he questioned the deputy president’s intention in bringing up the issue as criticisms of 1MDB by elder statesman Tun Dr Mahathir Mohamad have apparently started to subside. “I am worried about the possible rift within Umno. We should stand behind the party and its president regardless the situation he is in. Unfortunately, many of us choose to trust outsiders rather than our own leaders,” he added. Regardless, Azli acknowledged the need of leadership at the grassroots level to equip themselves with knowledge of current issues in “fighting the battle of perception” as mentioned by Muhyiddin. He also advised Umno leaders to respond to people’s inquiries with facts as opposed to using their emotions. Azli however did not see the rationale in the suggestion by Muhyiddin for all 1MDB board of directors members to be sacked. “We have employed the Public Account Committee and Auditor-General to probe 1MDB. Why would we want to make things worse by firing the directors? “Even if a new set of people take over the running of 1MDB, how would they explain the company’s businesses in the past?” he said. Parit Sulong division chief Datuk Zulkarnain Kamisan also dismissed Muhyiddin’s concerns over Umno’s possible dismal performance if the general election is to be held now. “Based on the recently held by-election in Rompin, Umno still managed to remain its power in the constituency despite the controversies surrounding 1MDB. It is not a major problem. “Of course at the grassroots level, members were taken aback by all the issues being brought up but we should give the authorities the chance to put the puzzle pieces together,” he said. Zulkarnain told The Mole that even though he respected Muhyiddin’s opinion, he believes that it is imprudent to scrutinise an issue at Umno’s expense. “Umno is open to constructive criticisms and the members today are matured enough in evaluate the critiques. They inquire facts and figures as opposed to blindly attacking a target,” he added. Shah Alam division chief Datuk Azhari Shaari on the other hand did not think that Muhyiddin meant any harm by delivering the speech. “I believe it was just his view as a leader of the country. It is not like he was criticising Najib or the government; he was merely reflecting his concerns over 1MDB. “Muhyiddin knew that the matter is still in proceeding and the decision would be made when the time comes,” he said. Azhari also shared the deputy prime minister’s concerns over Umno’s chances in the next general election if the controversies surrounding 1MDB do not get ironed out on time. “I do agree with Muhyiddin that if the election is held now, Umno would lose in the running. “However, any political party would face the same fate if it is surrounded by such crucial issues. I believe Umno still have time to make things right,” he added. 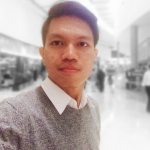 Nikita Nawawi is an up-and-coming writer who started his involvement in the media industry serving established local English daily, before joining The Mole in October 2014 as journalist.